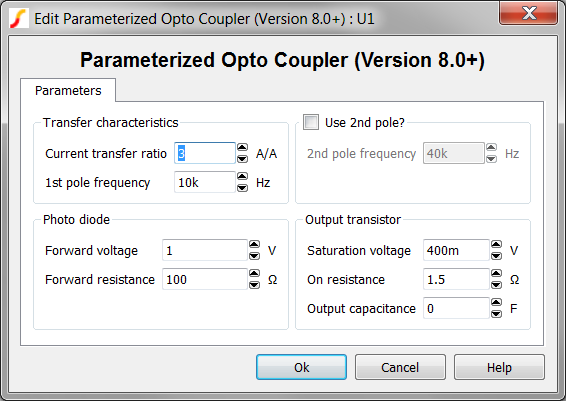 The Parameterized Opto Coupler models a opto coupler with a one or two pole frequency response, output transistor saturation characteristics, and photo diode forward voltage drop characteristics. This symbol and the electrical model was introduced with version 8.0 and will not simulate in releases prior to Version 8.0. For a opto coupler version compatible with versions prior to version 7.20, download the schematic component simplis_074_opto_for_versions_prior_to_8p0.sxcmp. Although not identical to this model, the optocoupler schematic component incorporates many of the features of this model. Current transfer ratio A/A The current transfer ratio of the opto coupler. 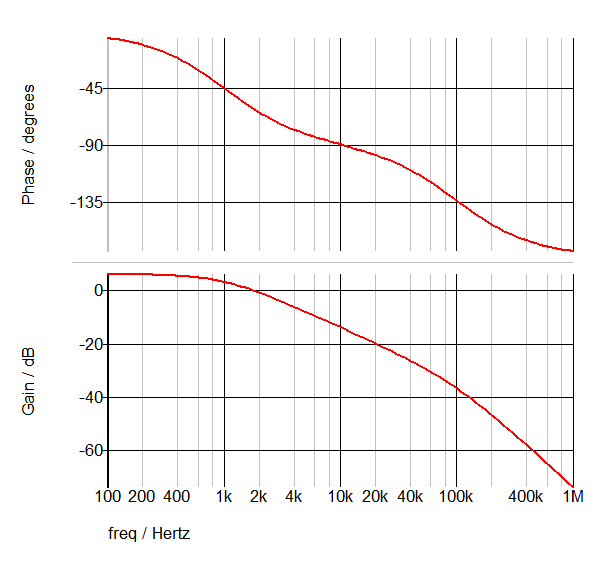 1st pole frequency Hz The opto coupler model allows you to define two poles in the transfer function. This is the first pole frequency. You can set this to 0 to remove the pole from the model. 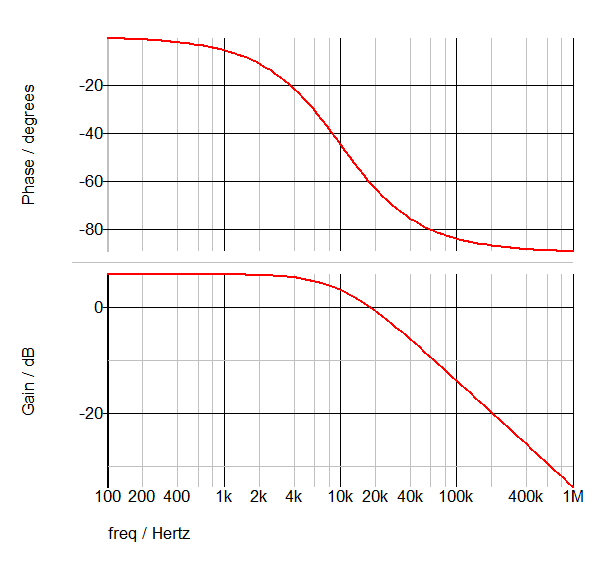 2nd pole frequency Hz The opto coupler model allow you to define two poles in the transfer function. This is the second pole frequency and is only used if the Use 2nd pole? checkbox is selected. 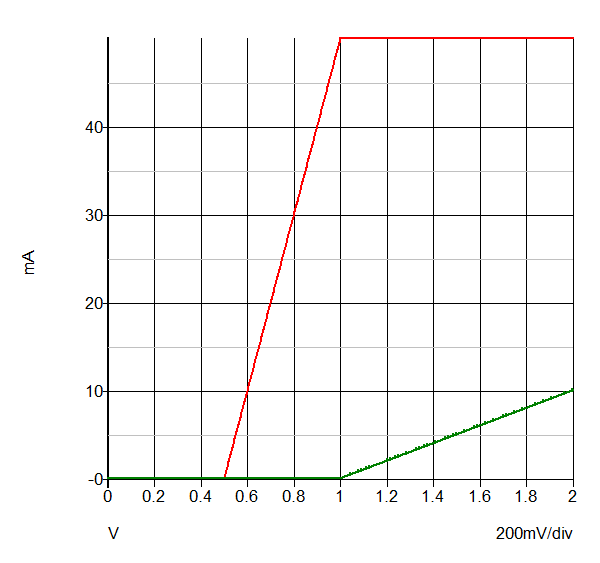 Forward voltage V The photo diode forward voltage. Forward resistance Ω The photo diode forward resistance in Ohms. The diode is modeled with a two-segment PWL resistor this is the resistance of the conducting segment. 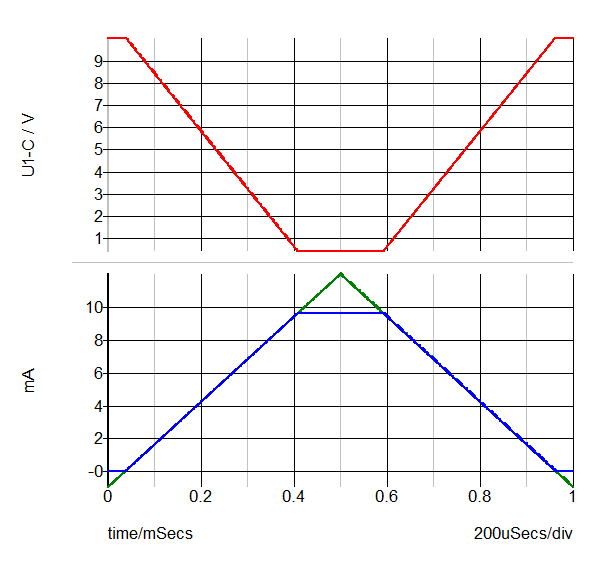 Saturation voltage V The output transistor saturation voltage. On resistance Ω The on resistance of the opto coupler output transistor. Output capacitance F The collector to emitter capacitance of the opto coupler output transistor. Set to 0 to remove the capacitor from the circuit. 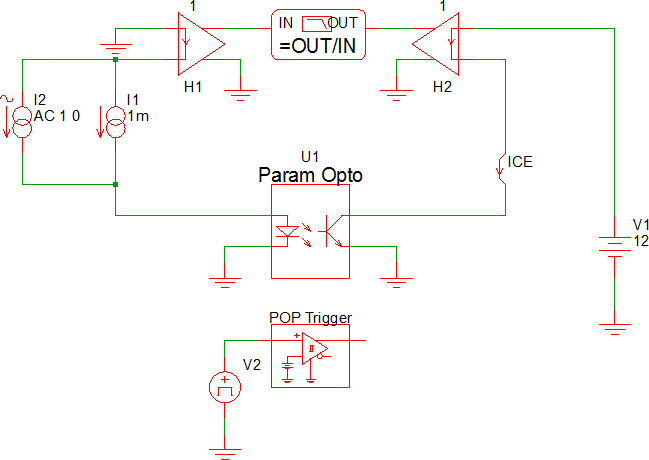 The DC transfer characteristics can be verified with this test circuit : simplis_074_opto_dc_transfer.sxsch . The test circuit used to generate the waveform examples in the next section can be downloaded here: simplis_074_opto_single_pole_freq_response.sxsch.